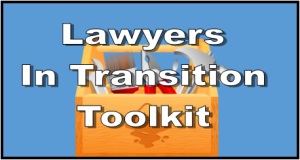 Lawyers in Transition Toolkit - Part Three When is it Time to Make a Change? Timing is always important, but when it comes to making a career move it can mean the difference between failure and success. Do it too early, and you might find yourself in professional limbo. Wait too late, and you risk facing a personal or professional crisis. Following are four signs that suggest the time is right for a change. Is your practice thriving? Is it headed in the right direction? Attracting the best and brightest talent? Do you feel you’re contributing to this success? If you answered yes to these questions, you’re in a good place and might want to enjoy the ride a bit longer. Morale is low and turnover high. You’re having trouble making ends meet. You’d rather be doing something else. You worry about cutbacks, layoffs or downsizing. 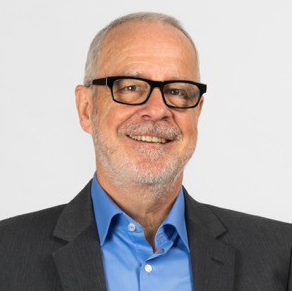 A merger or acquisition has changed (or threatens to change) the personality of the practice. You see little room for professional growth and advancement. You’ve got a bad boss. Your opinions don’t matter and your suggestions are ignored. You spend the majority of your waking hours at work. You owe it to your clients, your colleagues and your family to make that time productive and pleasant. Mostly you owe it to yourself. You show up every morning. You go through the motions. You accomplish your assigned tasks. But there’s no spark. Your law life doesn’t light you up. It’s something you do, not something you love. It’s easy to slip into a rut, but your time is too precious to be spent watching youtube videos, texting friends and dreaming of being elsewhere. If you’re feeling stressed or exhausted, you might simply need a break. Take some time off for recreation and renewal. But if your health problems are chronic and persistent – headaches, ulcers, acid reflux, weight gain or loss, insomnia, frequent illnesses, mental dullness – you could be experiencing job burnout. Or worse. Your body might be telling you it’s time for a change. You’re having trouble staying up on your cases. Little mistakes tend to happen more frequently. You lack enthusiasm or energy for work that would have excited you previously. Pay attention to these and similar warning signs. They might be gentle prods that it’s time for a transition. Do it before you get sued for malpractice, reported to the State Bar or asked by your partners to exit the practice. Look in the mirror. Are you still enthused about your work and engaged in your practice? What is your gut telling you? Watch for red flags. Do you dread Mondays? Do even little things feel overwhelming? Are you less patient and forgiving – of yourself and others? Shake things up. Maybe what you need is a change of scenery, fewer cases, a new practice focus. Talk with someone. Sometimes others can see things about us that we can’t see ourselves. Get feedback from colleagues or loved ones. Seek professional help if needed. Check out part one of this blog series here. If you missed part two, no worries you can check it out here!